Easy Oreo Spider Cookies – Great for Lunchboxes, Halloween Parties and More! 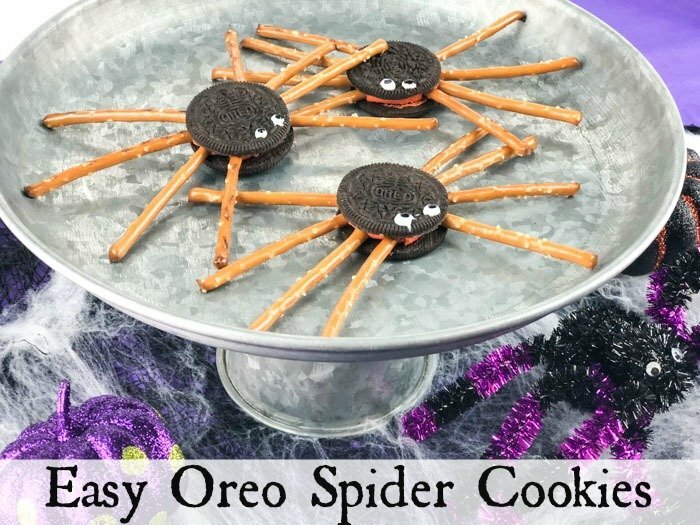 Easy Oreo Spider Cookies for Halloween! 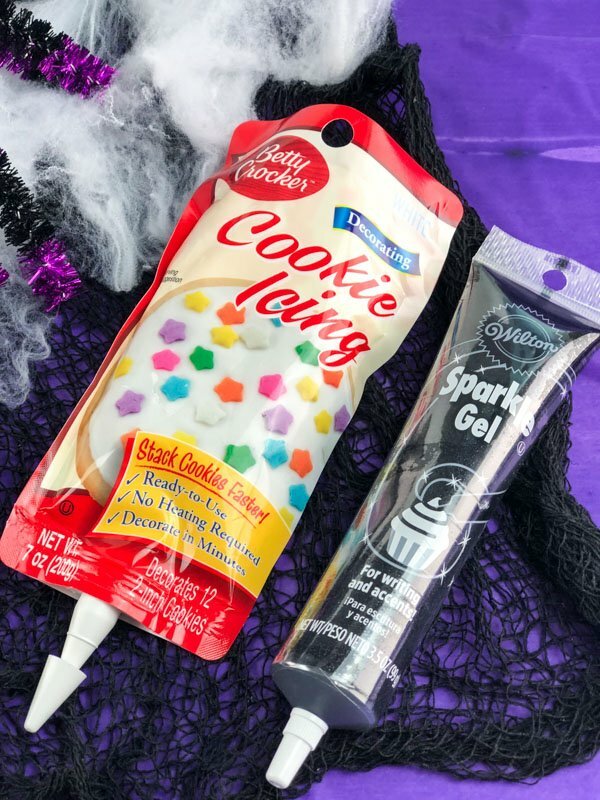 Halloween is around the corner, and you may already be trying to come up with a few ides of fun snacks or treats that are quick and easy, and also won’t break the bank! I love being in the kitchen, and do love to spend time making special treats for my family. Sometimes, however, you just want to come up with something that you won’t spend all day in the kitchen working on. 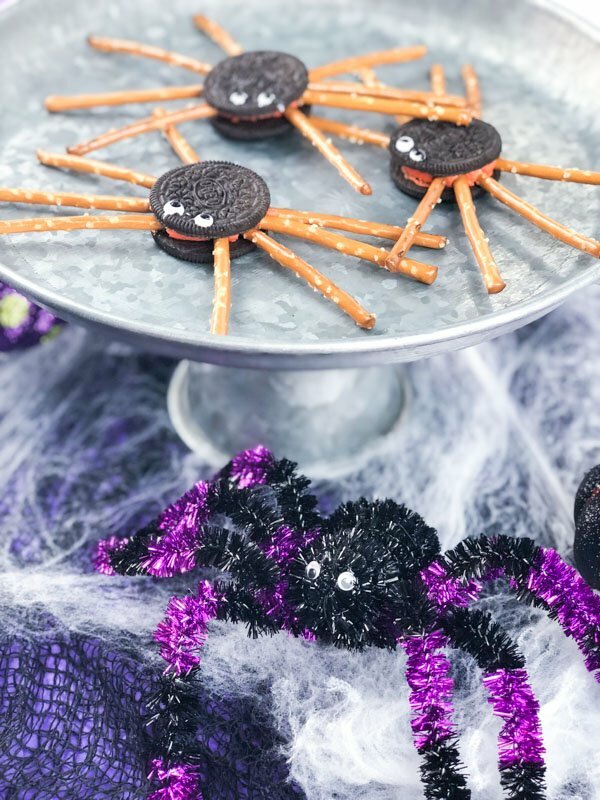 These Easy Oreo Spider Cookies come together in a snap, and are something the kids will totally be on board helping with! For this recipe I went with Halloween Oreo’s, and a cookie icing for the white of the spider eyes, and a Wilton Sparkle Gel in Black for the dots. For the white icing, I would be sure to use a thicker cookie or cake icing. You don’t want it running everywhere! All of these items should be at your local grocery store but links are provided if you need them. The black dots are a little more forgiving. If you can find a gel icing, go with that. If you end up without many options at the store, I suggest using what you have, and putting a small amount into a bowl. Use a toothpick to blot a tiny amount of the black icing onto each Spider eye. This way you can be sure not to end up with way too much and ruin the whole cookie! After the spider’s eyes are dry, carefully insert pretzel sticks for the legs. I went with four on each side, and used orange filled Oreo’s. How fun! Let dry on parchment paper and serve on a fun Halloween Platter. 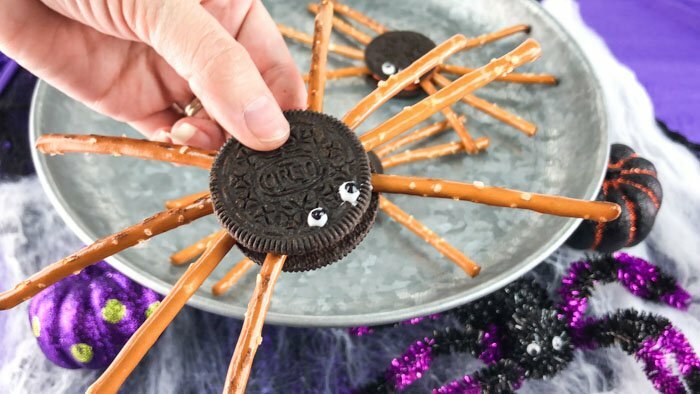 You can really get creative with these Oreo Spiders. I made the eyes very small, but for kids I would probably just make the eyes bigger so it’s a bit easier. This Peanut Butter Monster Munch is great for parties. So easy to make and you can add or take away any ingredients you want. This treat is a fun and easy idea for school parties, Halloween treats and more. Let the kids help with these for Kitchen Fun! Insert Pretzel Sticks into the Oreo icing carefully. I used 8 to each cookie, but you can use any amount desired. Let Cookies set until eyes are dry. Serve or Store in an airtight container to keep cookies from drying out too much.